Provide comfort for the family of Norma Feraldo with a meaningful gesture of sympathy. Norma Feraldo also known as Norma Herrera Saenz Vda de Feraldo (72) of Clifton, passed away on Monday, February 4th, 2019. Born in Peru to Anibal Herrera and Ana Maria Saenz. Visitation will be held on Friday, February 8th, 2019 from 5:00pm-9:00pm in Funeraria Alvarez, 66 Passaic Avenue, Passaic NJ. Mass will be celebrated on Saturday, February 9th, 2019 at 9:00am in St. Paul's Church, 124 Union Avenue, Clifton NJ. Burial, to follow, at 10:30am in Crest Haven Memorial Park, 750 Passaic Avenue, Clifton NJ. To send flowers in memory of Norma Feraldo (Herrera Saenz), please visit our Heartfelt Sympathies Store. Bus Driver Association and Blisset have sent flowers to the family of Norma Feraldo (Herrera Saenz). Bus Driver Association purchased the Finest Farewell Spray for the family of Norma Feraldo. 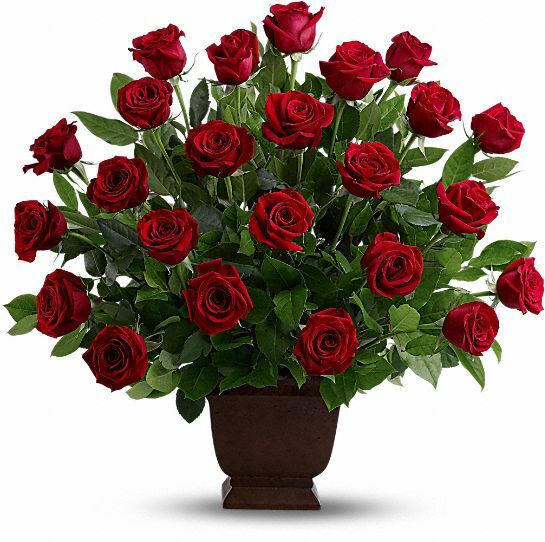 Blisset purchased the Rose Tribute for the family of Norma Feraldo.